Recently, I realize I am getting older, and I need to start taking better care of myself. I started drinking smoothies daily, with lots of greens and veggies, and I started using Chia seeds in my cereal, and Goji Berries in my oatmeal. Chia and Goji are so good for you! Our raw organic chia seeds are known for being remarkably high in Omega 3 with 2420mg per serving and Omega 6 with 840mg per serving. 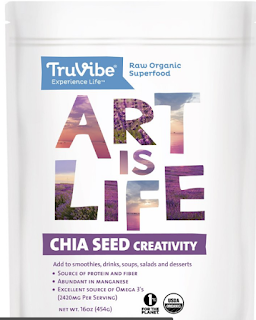 TruVibe's chia is also one of the best vegan sources of Omega 3, 6, and 9 essential fatty acids on the planet. They are also a good source of antioxidants, protein, vitamins, minerals, and dietary fiber. Chia is the Mayan word for strength and played major roles of importance in the Aztec, Mayan, and Inca cultures dating back to 3500 BC. It is most well known as the staple food on the Aztec warriors. 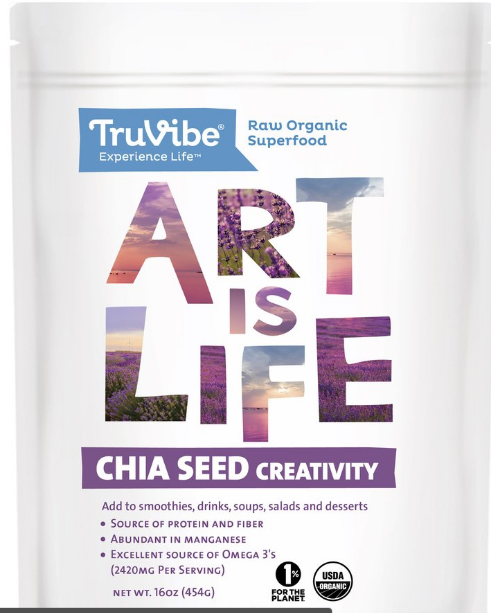 During this time Chia Seeds were considered almost magical for their ability to increase stamina and energy over long periods of time. 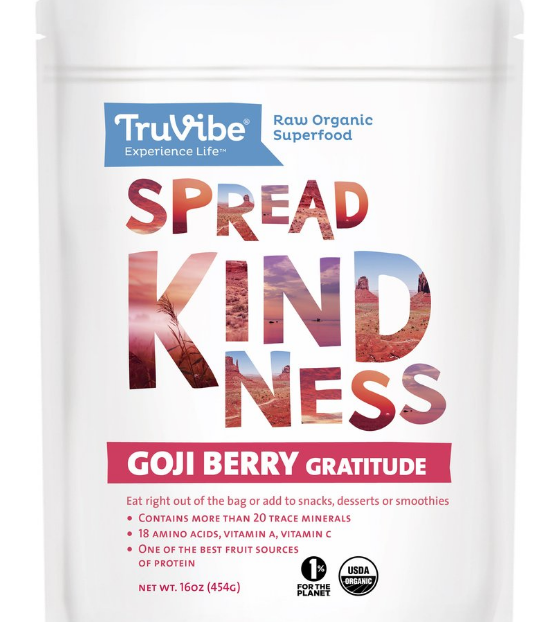 Our raw organic goji berries are extremely nutrient dense with 18 amino acids, over 30 essential minerals and trace minerals, and plant derived polyphenolic antioxidants. Goji berries, also known as the wolfberry, have been cultivated and enjoyed for over 6000 years in the Himalayan region. Traditionally the goji berry was used in ancient medicines and is still used today as an herbal remedy in Traditional Tibetan Medicine and Traditional Chinese Medicine. It is also known as the best fruit source of protein. 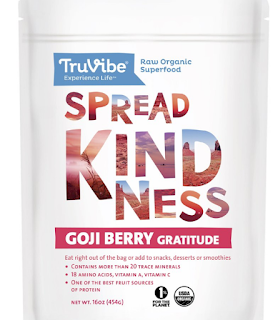 TruVibe's goji berries are great right out of the bag or in smoothies, desserts, cookies, oatmeal, trail mix and more.